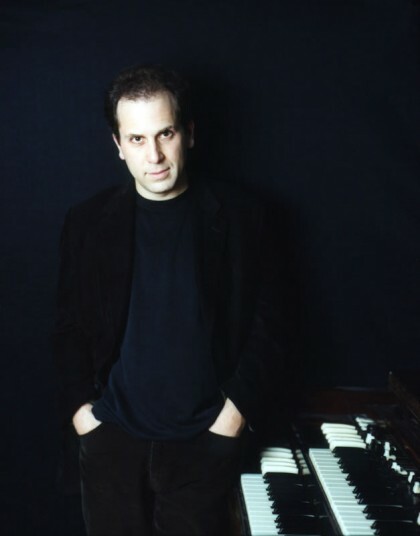 With his signature Hammond organ style and versatility on many keyboards, Boston native Larry Goldings has traversed not only the wide spectrum of jazz where he is perhaps best known, but also the worlds of funk, pop, and electronic/alternative music. High in demand as a sideman, Goldings’ sound can be heard on scores of albums by artists in virtually every musical genre. Some of his more notable collaborations include tours and recordings with Carla Bley, Michael Brecker, Jack DeJohnette, Jim Hall, Jon Hendricks, Pat Metheny, Maceo Parker, Madeleine Peyroux, John Pizzarelli, John Scofield, Curtis Stigers, and James Taylor.